Upon returning from a recent trip to Japan, my son and his family gave me an exquisite silk scarf. 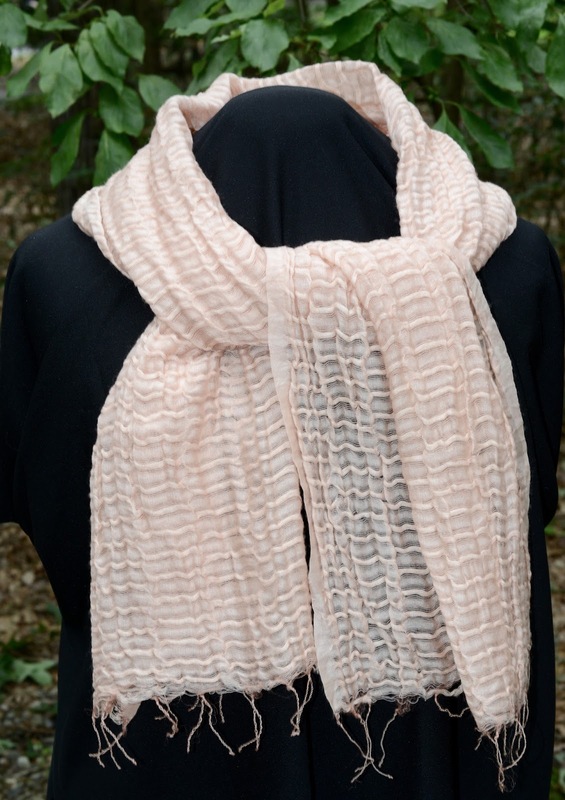 Dyed with cherry blossoms, the scarf is ethereal. 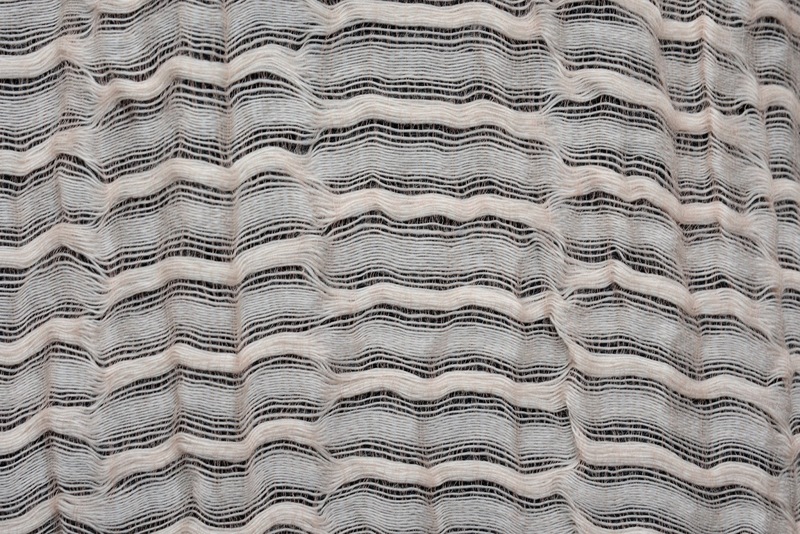 Its silk warp is so fine it is nearly invisible and it is so light, it's like wearing a cloud. It is spectacular. 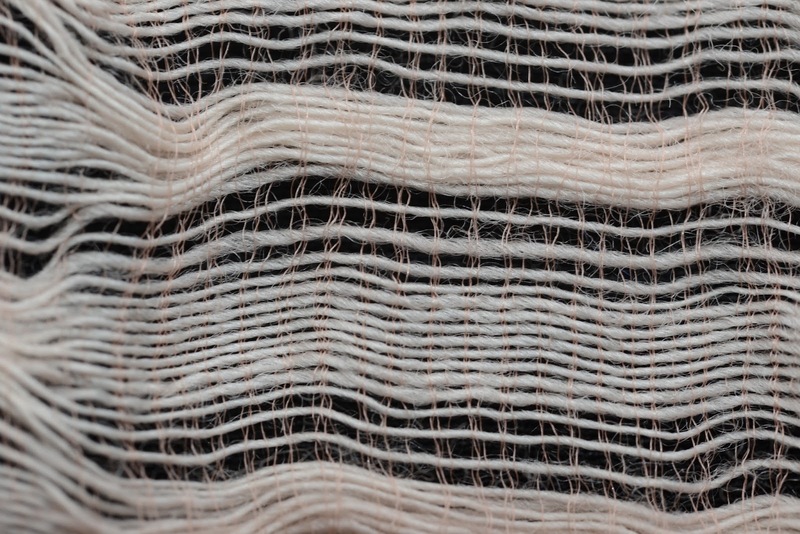 The silk threads in the warp are so fine they are nearly invisible. 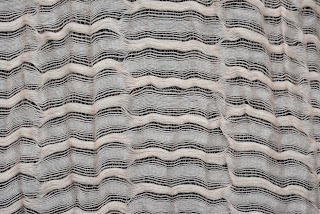 Grouped in three's, these warp threads stabilize the heavier silk weft threads that produce the wave-like pattern. But the color puzzles me: I wonder how they extract and fix the dye from cherry blossoms? "No artificial stuff....100% from cherry bloss [sic] All commodities of 'Somekobo' are made in a unique way, and dyed with extraction of cherry blossom. We don't use any artificial stuff. The color from cherry blossom is soft, beautiful and attracts people...."
Not a lot to go on there. Next I turned to the Internet, where I expected citations and references to the dyeing process. Perhaps because I neither live in Japan nor read Japanese, I found next to nothing. "In "Around dyed workshop flowers", only 100 percent cherry dye staining in a unique method to express the hue of the petals, and we have a production. 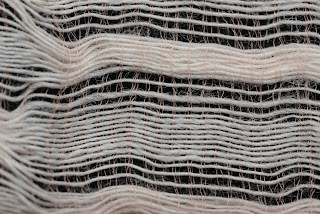 "Without using any chemical dye, the color that is dyed using only 100% natural dyes extracted from the cherry tree, it brings only natural thing, a soft, gentle shades." I don't know anybody who has used them as a dyestuff and was unable to find much of anything in my online research. but I have come to the conclusion that the dye is probably extracted like other blossoms commonly as dyes. Soak them. Maybe mash them. Probably let them ferment in the liquid for a period of time. Add a mordant to fix the dye and dye the fabric. I recognize now that my biggest stumbling block was 'pink.' As I consider the color of the scarf, I realize that I was overlaying a visual memory of the intense pinks of blooming cherry blossoms on the color of the scarf. The scarf isn't pink at all. It's really a very soft peach--more orange than red and lots of orangey-tan in the color. Now it all makes sense. It may not be the right conclusion, but it's mine for the moment. Have any of you used cherry blossoms for dyeing? If so, I'd love to hear about your experience!